When there is an allergic reaction in the body, a chemical called histamine, from specialized cells in the body tissues is released. 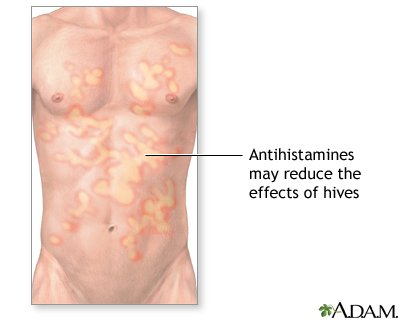 Histamine causes allergy symptoms such as sneezing, itching, watery eyes, and runny nose. Antihistamines may reduce inflammation, itching, and swelling by blocking the effects of histamine, reducing the allergy symptoms.